PG&E, California’s biggest utility provider, said in a filing dated Monday that it had raised $5.5 billion to fund its bankruptcy, which it expects to take about two years. Last Monday, the company said it intends to file bankruptcy petitions under Chapter 11. PG&E said it was having trouble with its transmission lines when the deadliest and most destructive wildfire in California history erupted, and that it may be responsible. PG&E, California’s biggest utility provider, rallied nearly 10% Tuesday after the company reported it has lined up $5.5 billion to fund its bankruptcy linked to last November’s deadly California wildfire. In a filing dated Monday, the utility said that four banks — JPMorgan Chase Bank, Bank of America, Barclays Bank PLC and Citigroup Global Markets — agreed to provide debtor-in-possession financing for its operations during a bankruptcy process that it expects to take about two years. 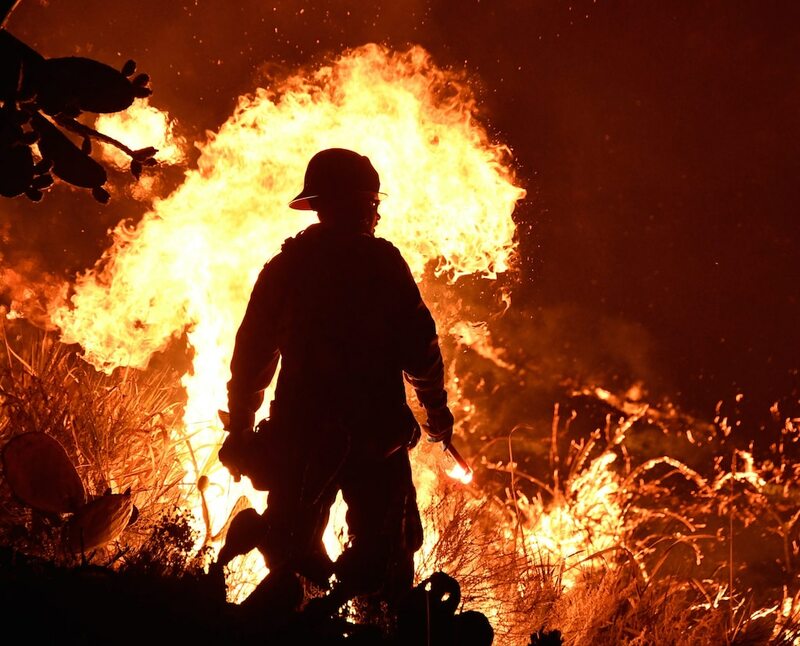 Last Monday, the company said it intends to file bankruptcy petitions at the end of the month to reorganize under Chapter 11 — two months after the deadliest and most destructive wildfire in California history broke out. PG&E said it was having trouble with its transmission lines when the blaze erupted, and that it may be responsible. Facing pressure from people who lost their homes in the fire and regulators, PG&E shares have lost more than 80% of their value, prompting the utility to seek bankruptcy protection as it feared a massive charge related to billions in costs associated with the wildfire, Reuters reported on January 4. The hedge fund BlueMountain, one of PG&E’s biggest shareholders, recently spoke out to challenge the utility’s bankruptcy-protection plan, saying it’s “damaging, avoidable, and unnecessary.” BlueMountain owns a 0.83% stake in the utility, according to its most recent disclosure. 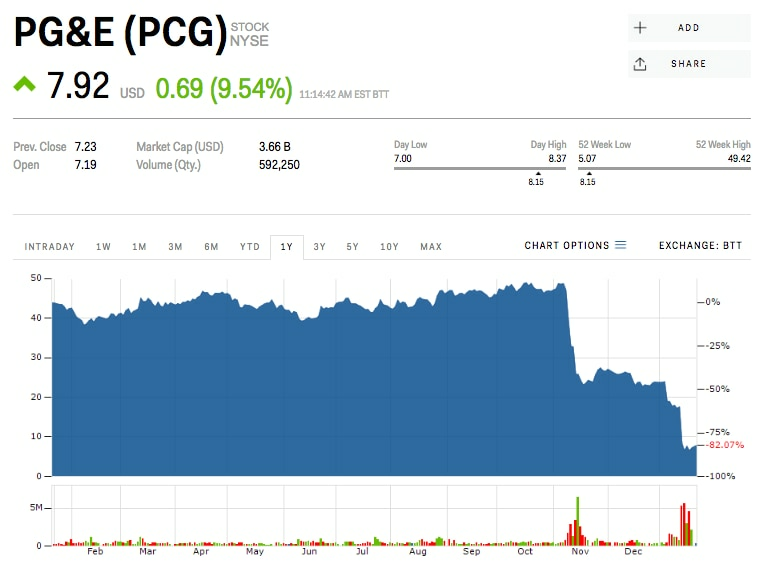 PG&E was down 84% since the California wildfire, and are trading near $7.95 a share on Tuesday.